How did the Great War affect the Jews? What impact did World War I have on the Jewish population around the world? This is the question that World War I and the Jews: Conflict and Transformation in Europe, the Middle East, and America attempts to answer. 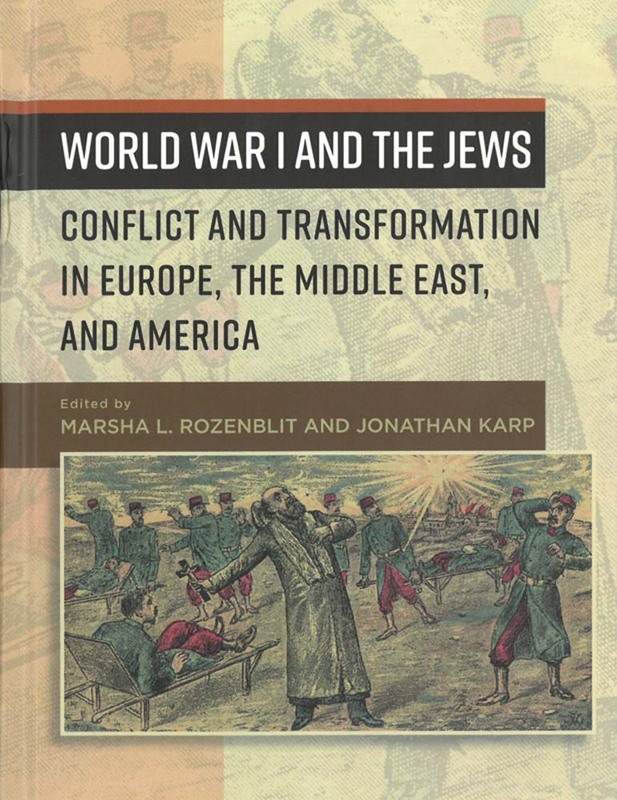 This broad collection of essays is co-edited by Marsha Rozenblit, Harvey M. Meyerhoff Professor of Modern Jewish History at the University of Maryland and Jonathan Karp, Associate Professor of History and Judaic Studies at Binghamton University. One of the key themes examined is whether World War I divided global Jewish communities or brought them more closely together. 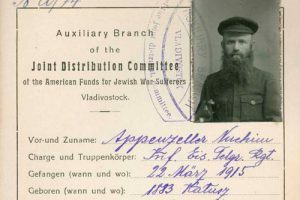 While the war resulted in the greater isolation of many Jewish communities as traditional institutional and philanthropic ties were suddenly curtailed, transnational Jewish philanthropy managed to assert itself in the long run with the emergence of international relief agencies. One of these was the American Jewish Joint Distribution Committee (JDC) or “the Joint,” which was founded in the fall of 1914 as the first Jewish organization in the United States to dispense large-scale funding for international relief. 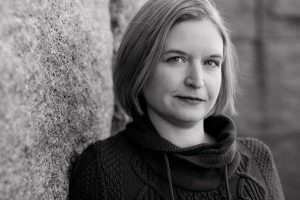 In “Women and the War: The Social and Economic Impact of World War I on Jewish Women in the Traditional Holy Cities of Palestine,” Michal Ben Ya’akov writes movingly about the devastating effect of the war on the local economy of Palestine. Contact with the outside world ceased with the outbreak of the conflict as the Ottoman government closed foreign post offices as well as most consular offices and foreign banks. As a result, the conflict cut the Jewish community, from its traditional ethnic, familial, and philanthropic ties, such as the age-old halukah donations, which the diaspora sent to the Jewish communities of Palestine. Those who were on the economic and social fringes of civilian society, especially the women living alone in the urban centers were hit hardest. In this desperate situation, JDC stepped in. It managed to send food and supplies to Palestine in the spring of 1915 through the intervention of Henry Morgenthau in Istanbul and Otis Glazebrook in Jerusalem and remained involved in lifesaving activities throughout the conflict and postwar period. An interesting point noted by Ben Ya’akov is that it was mostly women who carried out the Joint’s activities in Palestine, visiting homes to distribute the food and aid but also collecting information on the poor. 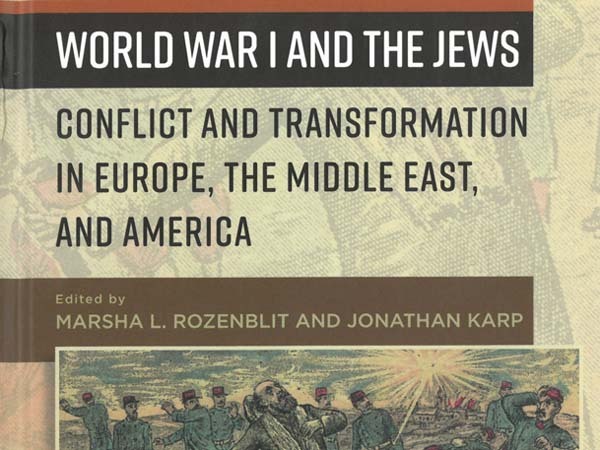 Other contributions in the volume, including David Engel ‘s “World War I and Its Impact on the Problem of Security in Jewish History” and Carole Fink’s “Jewish Diplomacy and the Politics of War and Peace,” provide valuable insight into why the Great War was a watershed event for Jewish communities in Europe, America and the Middle East. 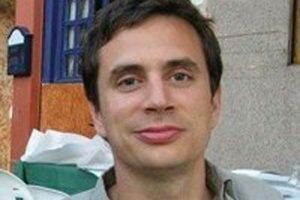 The conflict allowed Jews to demonstrate their patriotism and to dispel anti-Semitic stereotypes about “Jewish cowardice” by fighting for their home countries. The war destroyed the German, Austro-Hungarian, Russian and Ottoman Empires under which 80 percent of the world’s Jews lived and replaced them with a system of nation-states in Eastern and Central Europe, which confronted Jews with new challenges. The Great War also saw Jews winning the right to a measure of self-determination through the issuance of the Balfour Declaration in November 1917. Finally, the war, with its lot of suffering, devastation and nationalist agitation, had a deeply destabilizing effect on the Jews’ sense of belonging as it did on all Europeans.